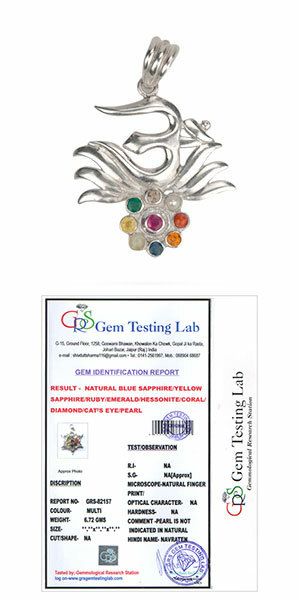 In Indian Astrology only nine planets have been accredited-Sun, Moon, Mars, Mercury, Jupiter, Venus, Saturn, Rahu and Ketu, Prescribing gems in accordance with the said nine planets has been proved to be very effective and infallible. We will make here a study of Navaratra Bracelet on the basis of these very planets. A rosary of genuine Navaratra has many qualities. Wearing the bracelet, a person may succeed in different walks of life. It has some divine quality. 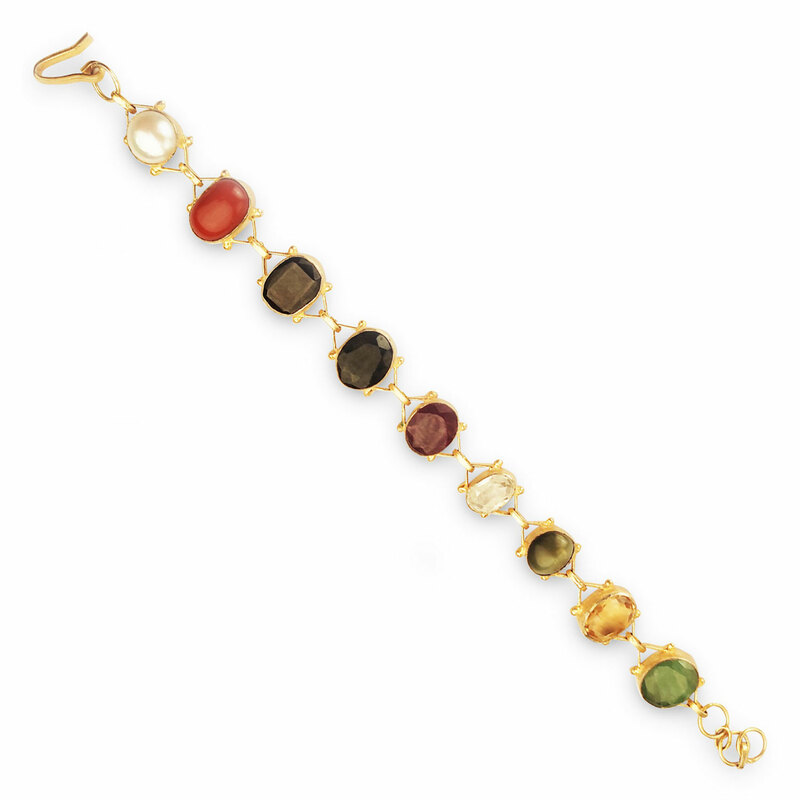 The different stones of this bracelet absorb the rays of the planets concerned and provide benefit to the person. 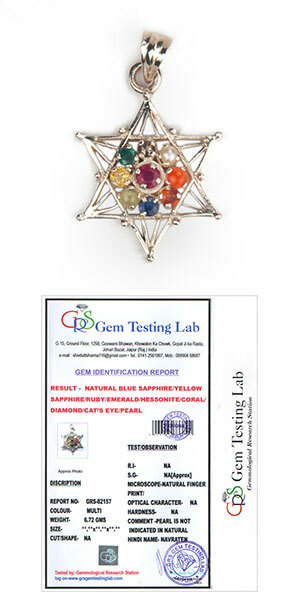 Use: Gems of all the planets are included in this bracelet. A person, who wears it, can have name and fame, respect, prosperity, material amenities and he will be free from diseases related to cough, cold and fever etc. Gurushch Shukrah Shani Rahu Ketuveh Sarve Graha Shanti Karabhavantu."